Easy to engrave and assemble Jewel Impress Awards feature classic looks at an affordable price. 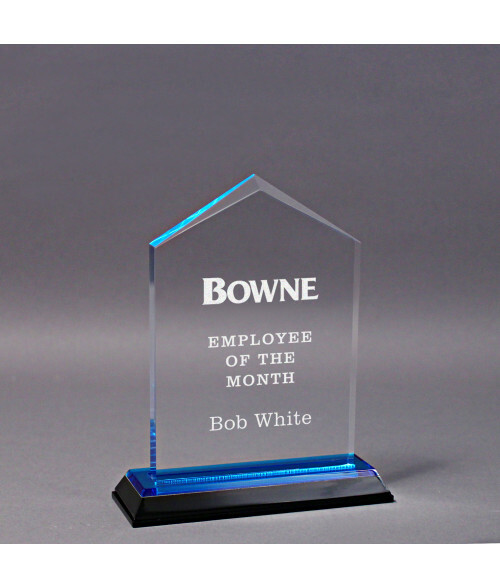 Made from 3/8 inch thick acrylic, these awards feature a press-on base that does not require special acrylic glue. Top quality cast acrylic laser engraves a frosty white color for rich looking engraving. With a 4-5/8" base, the Jewel Impress Awards are available in three heights: 5-1/2," 6-1/2," and 7-1/2."